I have to admit I was a bit disappointed with this novel especially after all the positive reviews I've heard about both Cloud Atlas and David Mitchell as an author. I'm wondering if perhaps I picked the wrong book by Mitchell to read first, or if I would have been just as disappointed no matter what title I began with. 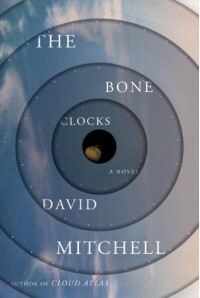 Having said that I still fully intend to read his other works and let me add that The Bone Clock wasn't horrible but it felt almost rushed and even a little half-assed, to me, like maybe it wasn't quite as put together or developed as it could have been because it's writer was under contract and had a deadline to make...but that's just my personal speculation.